Sign up to track nationally aired TV ad campaigns for BECU, a Super Bowl advertiser. 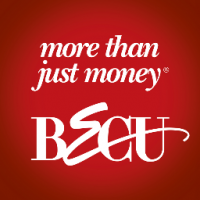 Competition for BECU includes Bank of America, Wells Fargo, JPMorgan Chase, Ally Bank, Citi (Banking) and the other brands in the Business & Legal: Banking & Payments industry. You can connect with BECU on Facebook, Twitter and YouTube. We have seen no national TV commercial airings from BECU.